The Forest, the indie open world survival horror game developed by Endnight Games and made with Unity, finally launched out of Steam Early Access (where it first landed in 2014). Both recent and overall user reviews report an average score of 92%, which is very flattering. 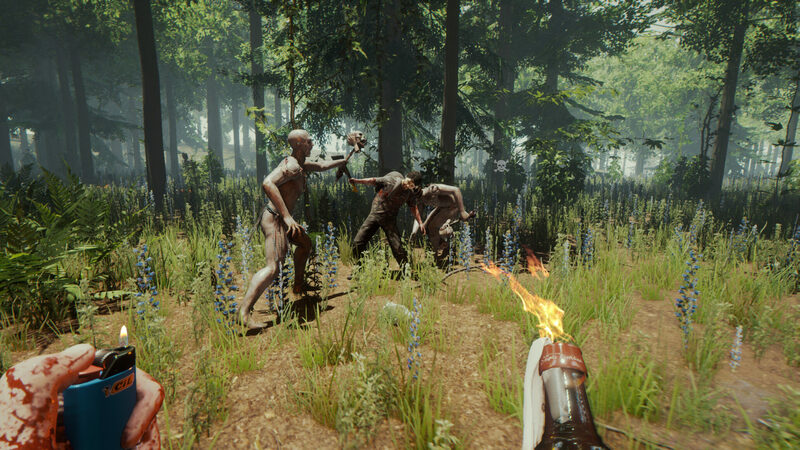 In The Forest, you’ll play as the lone survivor of a jet crash struggling to survive while surrounded by cannibalistic mutants. There are single player, multiplayer and co-op options to choose from and the developers revealed that a free VR version will be available on May 22nd, presumably amping the tension even more. The Forest is also due to launch later this year on PlayStation 4. This version of the game adds a bunch of new stuff, from a craftable warm suit, significant re-work of the endgame and a new alternate ending. Along with this, there is a ton of cave re-work and polish and many many improvements and fixes. There is a lot we still want to do and plan on heavily supporting the game moving forward. Some other big items we hope to implement soon are proper cheat controls in multiplayer and fixes to the issues that will likely come up in this release. Today we are also announcing our first major update to the game. The VR version of The Forest will release for free to all players of the game, on May 22. It’s the full game, with your hud on a smartwatch, a full 3D inventory, and tree cutting using motion controls. We think it’s the most fun VR game we’ve ever played and can’t wait to share it with everyone. We know there are a couple reports of crashing and keyboard related issues that came up in the last 2 days and will aim to get fixes for those as soon as we can. Edit – We just uploaded a small hotfix, fixing an issue with some players keyboards.